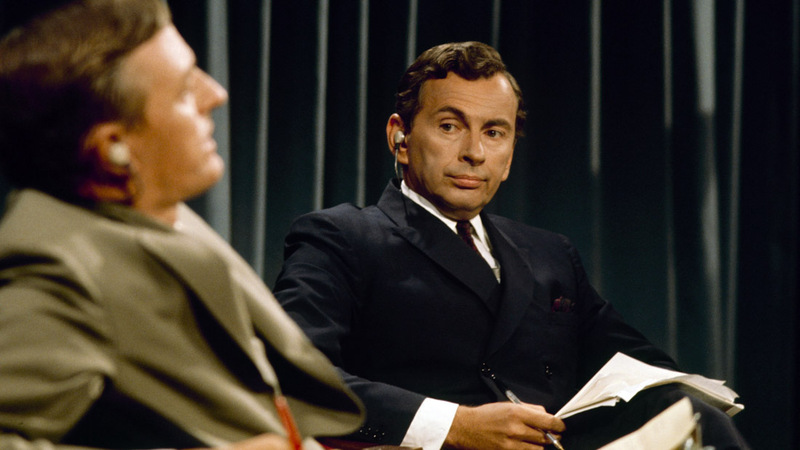 Closing out the first day of 2015 Sundance profiles: BEST OF ENEMIES, Morgan Neville and Robert Gordon’s re-examination of an infamous series of political debates. In the summer of 1968, television news changed forever. Dead last in the ratings, ABC hired two towering public intellectuals to debate each other during the Democratic and Republican national conventions. William F. Buckley, Jr. was a leading light of the new conservative movement. A Democrat and cousin to Jackie Onassis, Gore Vidal was a leftist novelist and polemicist. Armed with deep-seated distrust and enmity, Vidal and Buckley believed each other’s political ideologies were dangerous for America. Like rounds in a heavyweight battle, they pummeled out policy and personal insult – cementing their opposing political positions. Their explosive exchanges devolved into vitriolic name-calling. It was unlike anything TV had ever broadcast, and all the more shocking because it was live and unscripted. Viewers were riveted. ABC News’ ratings skyrocketed. And a new era in public discourse was born. Directed with consummate skill by filmmakers Robert Gordon and Academy Award-winning Sundance Film Festival alum Morgan Neville (20 FEET FROM STARDOM), BEST OF ENEMIES unleashes a highbrow blood sport that marked the dawn of pundit television as we know it today. Director/producer Morgan Neville returns to Sundance for the third time, following the Oscar-winning 20 FEET FROM STARDOM (2013) and TROUBADOURS (2011). Neville and fellow director/producer Robert Gordon previously collaborated on JOHNNY CASH’S AMERICA, SHAKESPEARE WAS A BIG GEORGE JONES FAN: “COWBOY” JACK CLEMENT’S HOME MOVIES, JOHNNY CASH for German TV series Legenden, RESPECT YOURSELF: THE STAX RECORDS STORY for Great Performances, and MUDDY WATERS: CAN’T BE SATISFIED for American Masters. Caryn Capotosto from Neville’s Tremolo Productions is the film’s co-producer after serving as an associate producer on STARDOM. This project marks one of two films Julie Goldman has executive produced for this year’s festival, together with fellow 2015 US Documentary Competition title 3 1/2 MINUTES. Associate producer and editor Eileen Meyer is a Park City alum as the editor of the short film THE THING (2012), while editor Aaron Wickenden’s previous Sundance projects include THE INTERRUPTERS (2011), which he edited, and REEL PARADISE (2005), which he associate produced and contributed to the editing. Neville and Gordon have constructed an entertaining and stimulating study of two larger than life personalities that not only highlights their radical differences but even more intriguingly demonstrates their commonalities. Grounding their exploration in the tumultuous months of the 1968 presidential campaign, they open a window into a time in American society when audiences were unable to so easily avoid opinions that conflicted with their own and instead have to engage in – and perhaps be influenced by – a shared discourse of ideas. For more information about the film, visit its website and Facebook page. For Neville and Gordon’s thoughts on the film, watch their Sundance Meet the Artists profile. For screening dates and times at Sundance, click the link in the first paragraph.